Have you ever felt like you’ve had to give your computer some time to ‘warm up’ after turning it on? That is, your PC isn’t very responsive after you turn it on – it feels sluggish. Well, it’s probably because you don’t have an SSD in your rig. Believe it or not, SSDs are a great way to quickly boost your system’s speed. They’re especially useful if you’re using an SSD for gaming. When you have your OS on an SSD, your PC will boot in seconds. Seriously, they’re fast. Oh, and you’ll be first to load into your games too. With all of that being said, let’s take a look at our best SSD for gaming reviews of 2019! Why are SSDs Faster than HDDs? 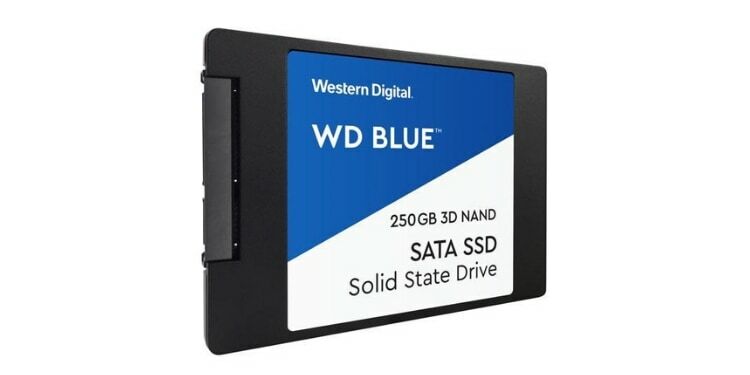 If you’re looking for a good SSD on a budget, the WD Blue 3D NAND is a superb option. Coming in at ~$50, it offers excellent performance at a fair price point. This drive’s price/performance ratio is outstanding, which is great for builders on a budget. Keep in mind, however, that this drive has a maximum storage capacity of 250GB. It’s enough for your Windows OS, drivers, and a few of your favorite games, but it probably isn’t sufficient for your entire system. 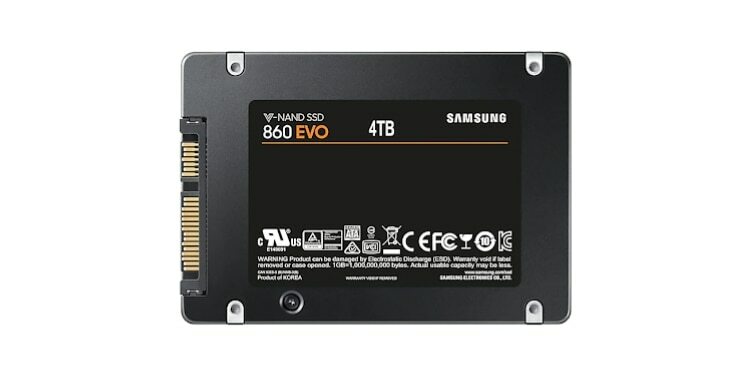 If you’re buying this SSD for your gaming PC, I’d recommend purchasing a cheap mechanical mass storage drive for most of your applications, movies, music, and other files. This way you’ll still have enough room on your SSD for your OS, drivers, and some games. Samsung’s fast SSDs are well-respected in the PC gaming community. They’re fast, reasonably priced, and reliable. Still, when the Samsung 970 Evo Plus launched with lightning fast speeds and new silicon, even we were surprised. 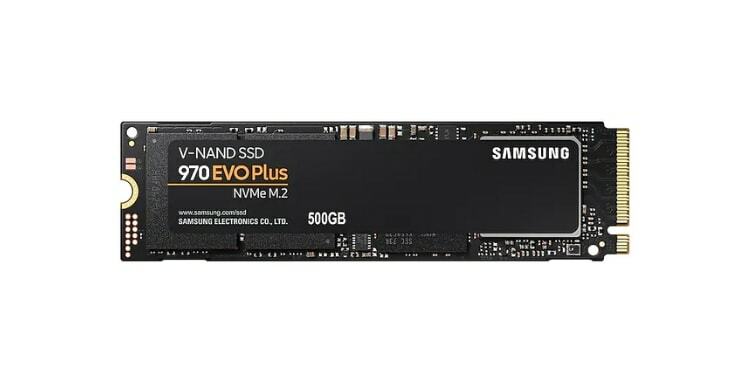 It’s one of the fastest M.2 SSDs on the market, and Samsung is selling it for an incredibly low price. Due to this drive’s impeccable performance and reasonable price tag, it’s easily one of the best solid-state drives on the market today. I had wanted to buy myself an M.2 drive for some time, but I never pulled the trigger due to their high price tags. That is, I didn’t buy one until I came across Adata’s XPG SX8200 – it’s not the fastest M.2 drive on the market, but its performance is still commendable and, best of all, it’s affordable. Good luck finding a drive with a better price to performance ratio. Yeah, there are faster solid state drives out there, but this drive’s performance per dollar is unrivaled making it the best SSD for the money. Western Digital is a popular company in the PC gaming community. In fact, I use their Caviar Blue 1TB mechanical hard drive in nearly all of my budget gaming PC builds, including my own, due to its large storage, fast read/write speeds – for a mechanical drive– and great price. WD has decided to enter the SSD market as well, and they’ve done so with style. 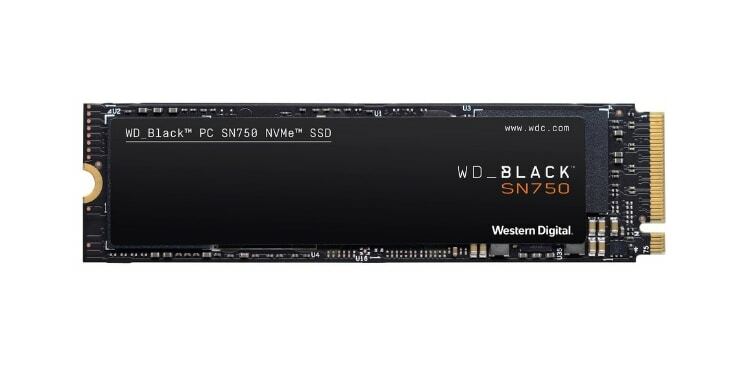 The WD Black SN750 is undoubtedly one of the best solid state drives for gaming thanks to its tremendous read and write speeds. Unfortunately, this SSD uses last gen hardware that doesn’t conform to the newest (and the fastest) standards for SSDs. Your games will load so quickly, you won’t even have time to reach into your bag of chips between rounds (unless their net code is terrible, like Anthem; a great SSD still can’t work miracles). No more being the last to load battlefield maps, or joining a game of CS:GO at the tail end of the warm-up. If you’re seeking raw speed and performance, this SSD is your best option. Utilizing the newest PCIe Gen 3 slot, the 970 Pro has significantly faster write speeds than its predecessor. On the other hand, this drive is a bit pricey. If you’re on a budget and you’d prefer better performance per dollar, you should check out another SSD on this list. They’re still pretty darn quick, but have better price to performance ratios. 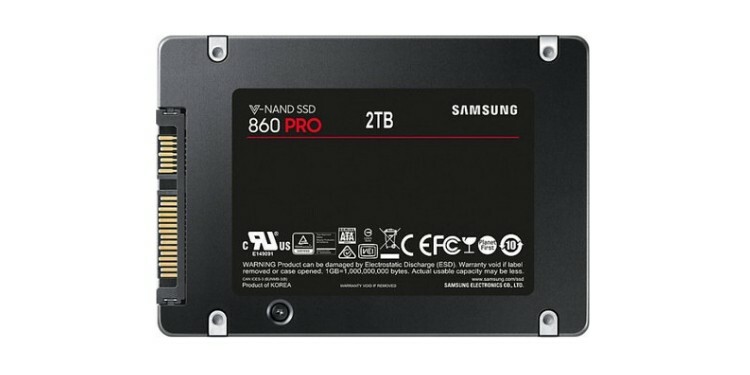 If endurance is what you’re after, the Samsung 860 pro should be a strong contender on your list of options. Believe it or not, this drive ships with a 5-year / 1,200 TB warranty. That means you could write more than 600 gigabytes per day for five years straight. We don’t even know how you could manage to find a task that requires that many writes per day – not in a home gaming PC, at least. This drive doesn’t win every benchmark and it’s not as fast as M.2 NVME drives, but it's still quick for a SATA drive, it’s not too expensive, and it’s one of the most dependable drives on the market. This drive has a whopping 4TB of storage – that’s a lot even for a mechanical drive, much less an SSD. Now, let’s be honest: 4TB of storage is more than most will need, especially in an SSD. Moreover, this drive is priced at $999(! ), which is probably out of most people’s price range for a solid state drive. Nevertheless, if you are in the market for a 4TB drive, then look no further. Its endurance is impressive, and its performance is also top-notch when compared to other SATA drives. Before I installed my first SSD, I had everything – my Windows OS, drivers, games, files, movies, you name it – installed on a 7200RPM, 1TB mass storage drive. My PC took ages to boot up, and once I had finally logged in, sometimes it would take a while before it was truly responsive. Here’s the thing: Once I installed my SSD, the difference was night and day. I transferred my Windows OS, drivers, and my favorite games to my SSD and voila! My PC was much faster. Oh and if you’re wondering what the best SSD brand is, you can’t go wrong with Western Digital or Samsung, although Adata– the only other brand we included on this list– is pretty good too. Sure, they’re a bit pricier than traditional mechanical drives, but they’re also a lot faster, which makes them the best storage option for a gaming PC, in my opinion. From a price to performance standpoint, they’re well worth the money even if you are only getting a smaller one. If you can’t afford a top SSD, then that’s fine; most people can’t. Instead, a lot of folks buy two drives: a mechanical hard drive with one or two terabytes of storage space and an SSD. 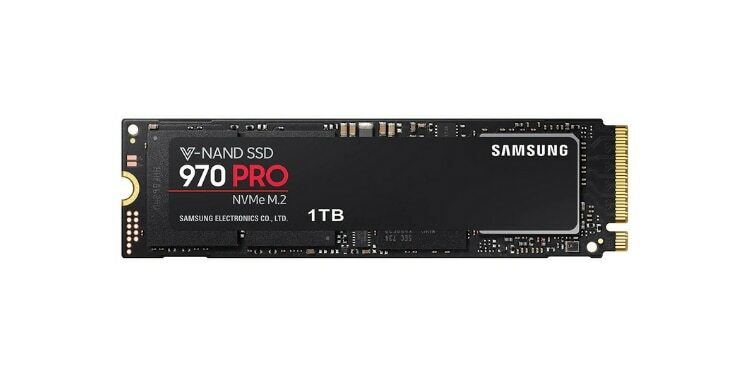 Since SSDs cost more $/GB, buying a 1TB or 2TB SSD isn’t always an option. Instead, store all of your applications, movies, music, and other files on your mechanical mass storage drive. I wouldn’t recommend buying an SSD for a gaming PC that’s any smaller than 500GB. Since the drive with Windows installed is your C: drive, you’ll end up having to install more files than you think on that drive. Some programs must be installed on your C: drive. Also, keep in mind that if you install Steam on your C: drive, you have to install all of your games on that drive as well. I can get by with my 240GB SSD, but only with a few games installed on it at a time. This isn’t an issue for me because I play a few games these days. But if you like to have all of your games installed and ready to go at a moment’s notice, you’ll need a larger SSD. 500GB should be plenty, and most people won’t need any more than 1TB of storage on their SSD. Anything more than that is probably overkill, especially for a budget or mid-tier gaming PC. Mechanical disc drives (HDDs) read data from a disc. The disc spins inside the drive at an incredibly fast speed. 5400 RPM (Revolutions Per Minute) for older HDDs and 7200 RPM for newer ones. A mechanical arm has to move around to read and write information on the disc. You may think these drives are spinning pretty darn fast– and they are– but speed is relative. Enter SSDs, aka Solid State Drives. 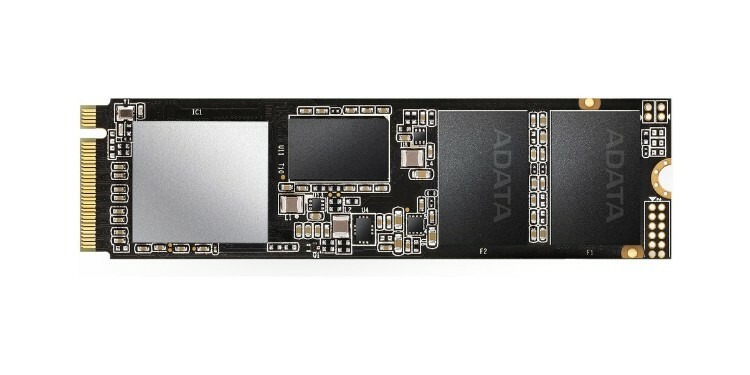 So, what makes an SSD different? Well, as the name implies, SSDs don’t have any moving parts– they’re solid. Rather than storing information on a disc, SSDs store information in microchips. SSDs use flash storage. You can think of SSDs like an oversized flash drive. As such, SSDs are more expensive per GB of storage than HDDs. Nevertheless, their prices have been dropping over the years, making them more affordable than ever. Storage technology has come a long way since its humble beginnings. 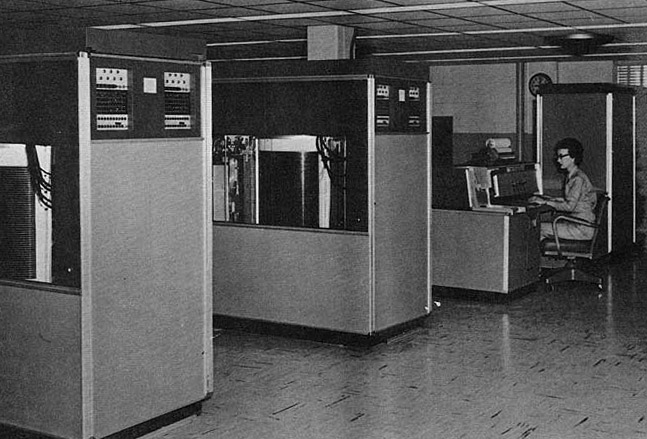 Believe it or not, a 4-megabyte storage drive was the size of nearly two refrigerators back in the 1950s. Mechanical hard drives were all the rage when they first came out, able to store hundreds and eventually several thousand gigabytes on one drive. Nowadays, a 2.5-inch SSD can store several terabytes of information on a device only slightly larger than a credit card. Mechanical hard drives and traditional SSDs connect to the motherboard via a SATA (Serial-ATA) cable. Over the years there have been different versions of SATA. SATA 1 launched in January of 2003 and could transfer around 150 MB/s. SATA 2 released in April of 2004 and could transfer up to 300 MB/s, double that of the first generation SATA cables. SATA 3 came along in July of 2008 and has remained the standard SATA cable since. It is commonly referred to as SATA 6 Gbit/s, but don’t let it confuse you. 6 Gigabites translates to 600 MB/s, not 6 gigabytes per second. There’s a huge difference. Though impressive, even 2.5-inch SATA 3 SSDs have a bottleneck. The SATA cable and connectors themselves can only transfer around 550-600 MB per second. Even though every new SATA generation effectively doubled transfer speed, SATA 3 (6 Gbit/s) (6 Gbit/s) is the limit for Serial ATA transfer speeds. 600 MB/s may seem fast – and it is – but flash storage is evolving so quickly, a new solution had to be created in order to keep up. Enter SATA Express in 2013… except it was kind of cumbersome and was never largely adopted. Enter M.2 solid state drives. The newest M.2 drives connect to your motherboard via a PCI Express 3.0 (x4) slot, which is the newest – and the fastest – PCI connector on the market. A word of advice: Not all M.2 drives were created equal. Some may only be compatible with the PCI Express 2.0 standard, which will significantly reduce your expected performance boost. When you’re buying an M.2 drive, make sure it is compatible with a PCI Express 3.0 slot. Moreover, be sure to purchase an M.2 drive that adheres to the new NVME standard for interacting with the rest of the system.